Coriander is one of the rarest spices that we seem to use equally in seed, powder, or plant form. 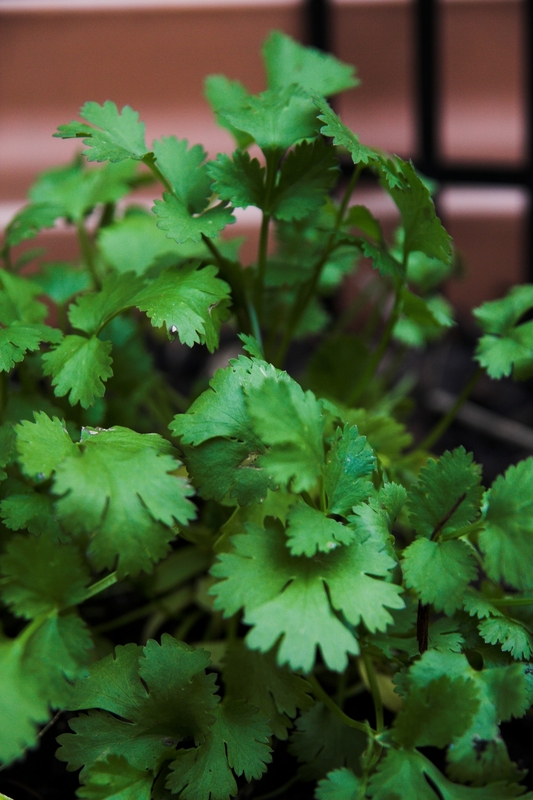 Coriander is helpful in supporting the proper functioning of the Liver. Coriander helps maintain cholesterol in normal range in healthy people. Coriander improves the joint flexibility and stability. Coriander maintains the normal water balance. Coriander is useful to improve gut health. Coriander is helpful to support a healthy heart. Coriander is helpful in improving the taste. To detoxify your body – Drink one glass of coriander juice. To cure digestive disorders – Add 5 tsps Coriander leaf juice to a glass of buttermilk. To relieve from Mouth ulcers — Paste of coriander leaves is applied on to the mouth ulcers 2-3 times a day for relief from mouth ulcers. To treat menstrual cramps — boil a few coriander seeds in a cup of water and drink the liquid. To cure stomach ache – Add 2 tsp of coriander powder in 4 glasses of water and boil it. Drink this mixture. To treat urinary inflammation – Add one teaspoon each of coriander powder and amla powder in a one glass of water and mix it. Filter the mixture and drink it in a course of a week.